The 2019 Event has been Successfully Completed. 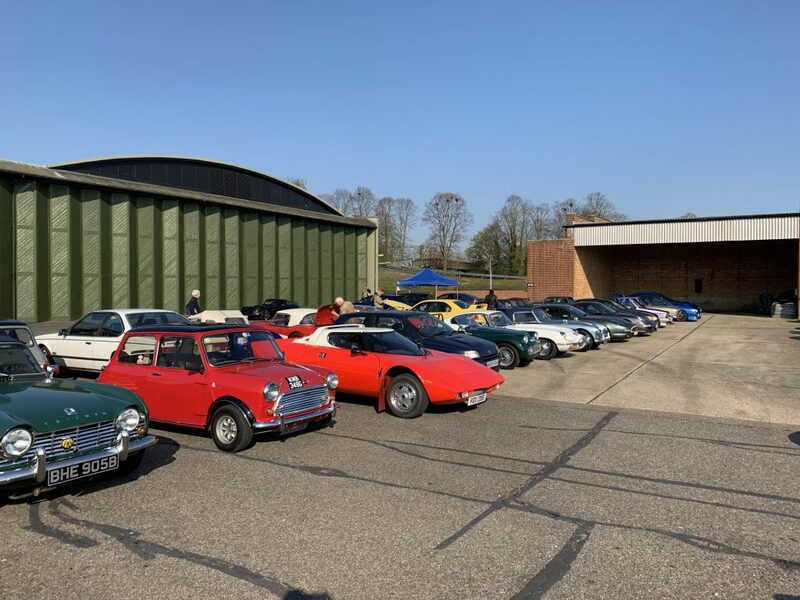 The Cambridge Classic Car Run is now a well established event held each spring. 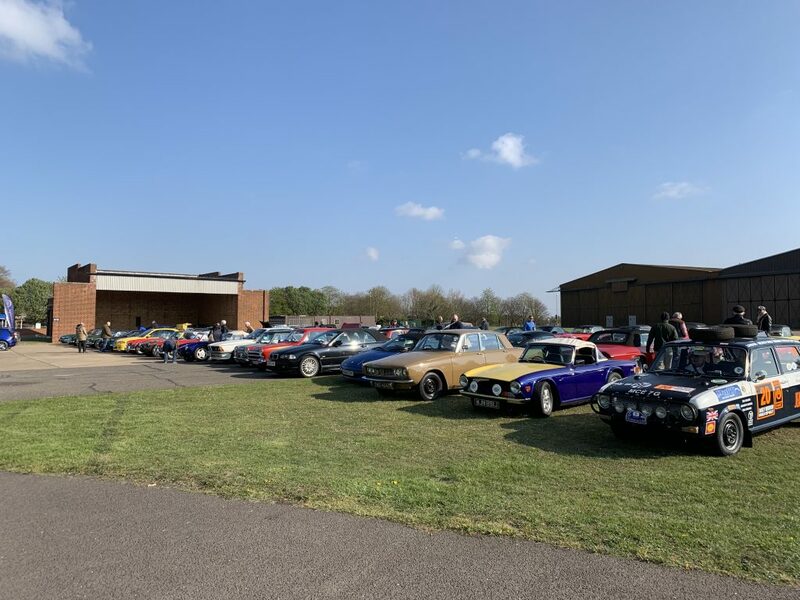 The 2019 Run took place on April 14th as a round of the Historic Rally Car Register‘s Scenic Tour series. 65 varied and interesting classic cars were entered. 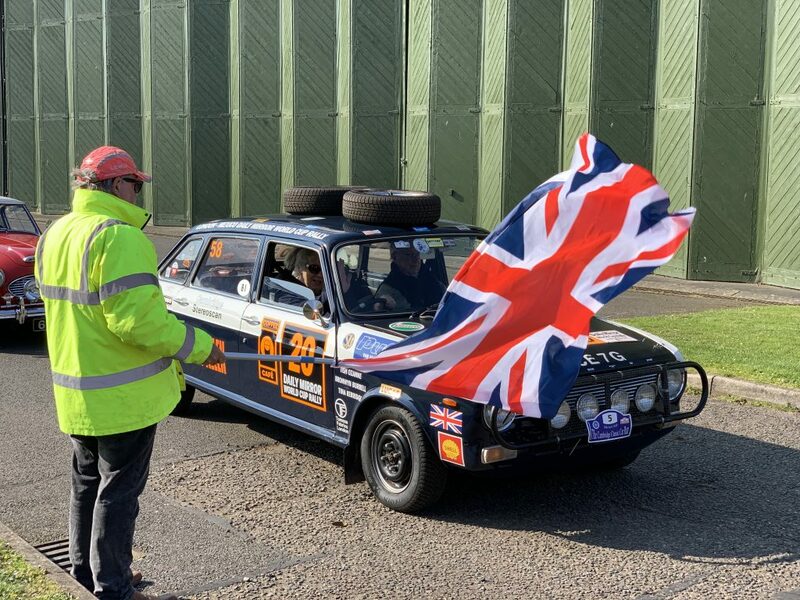 Of special interest was the original Austin Maxi from the London to Mexico Rally with two of the original lady entrants. The car and crew were all looking first class. This great entrant was supported by the fantastic range of cars that did also enter. We are grateful to all those that entered. We shall be making a generous donation to the nominated charity, St Nicholas Hospice. The easy to use and accurate road book gave a 83 mile circular route, defined by easy to use tulip diagrams, starting and finishing at IWM Duxford. An optional shorter route was used by a couple of the entries which gave more time at IWM Duxford. 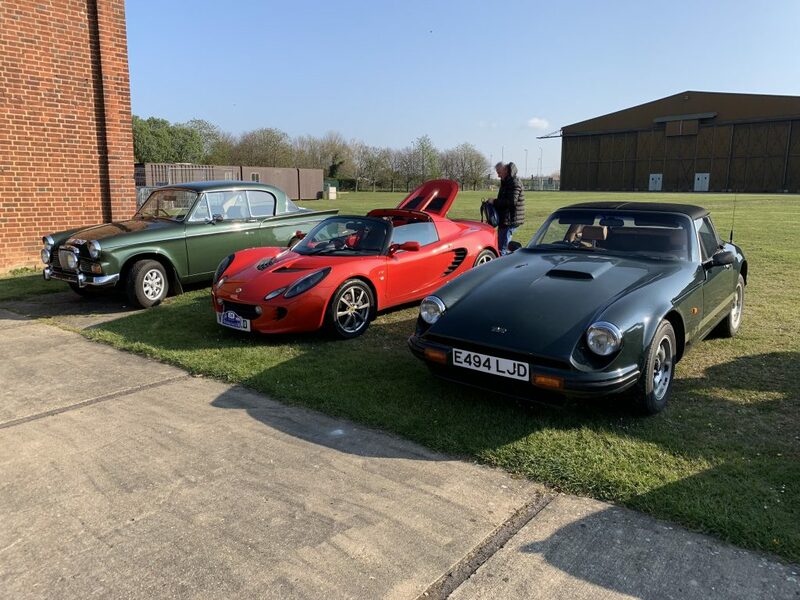 The mid-way halt at Carver Barracks worked very well with the opportunity to view an AutoSolo actually running as our entrants enjoyed delicious coffee and cake. Thanks to our friends atWest Suffolk MC who were running the AutoSolo. Coulson Building Group and ECL Ductwork again kindly supported the running of this event, enabling us to maximise the proceeds for St. Nicholas Hospice.